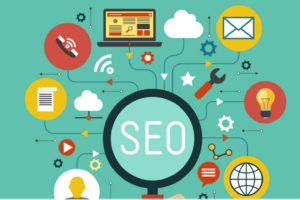 Search engine optimization (SEO) is among the most useful strategies businesses need to implement in order to enhance their online presence and attract more customers. Link building is among the best SEO tactics companies can use and broken link building is one method of creating backlinks to your site. In this guide, we’ll explain what broken link building is all about and how it could be an effective strategy for your business. We’ll also provide you a simple six-step guide to creating a successful broken link building strategy. You can understand broken link building by analyzing the words one-by-one. Therefore, broken link building is a method of taking non-functioning links and building them back up again. It’s a technique closely associated with search engine optimization (SEO), as it can help businesses replace broken links with their own. By using the broken link building strategy, you acquire a link to your website simply by pointing out broken links on someone else’s website. Instead of having to create links from scratch, you can go after existing, yet non-operational links. You discover a broken link on a website. You contact the site’s owner and point out the non-operational link, as well as ask her to replace it with a link to your website. Let’s say your business works in the flower industry. You might discover that an article about mother’s day flowers on a popular blog includes broken links. Perhaps the links lead to a 404 page. But the link, with its keywords, is a perfect fit for your business. You can contact the owner of the blog and inform them about the broken link. Naturally, the blog won’t benefit having articles with broken links and readers will quickly find them annoying and uninformative. While you inform the owner about the broken link, you can also ask him or her to replace the link with a link to your website. Since your link is a perfect fit, the owner doesn’t need to change the article around, but can simply replace the non-operational link with a working one. This is how you can get backlinks using the broken link building method. WHY SHOULD YOU CONSIDER BROKEN LINK BUILDING? As mentioned above, broken link building is one of the SEO strategies businesses could use. The practice has become somewhat popular, driven by the many benefits it offers. Firstly, broken link building works because the Internet is full of non-operational links. HowStuffWorks explained in its article on the subject, how the links on its site can become broken as quickly as in a few months. The reason behind the causes of broken links varies, but the disruption and annoyance of encountering a broken link remain the same. Essentially, the practice of broken link building isn’t just about boosting your business. It is about making the Internet a better place for its users. Underlying this altruistic benefit are tangible advantages to your business. Broken link building is a quick way to increase your link numbers and thus enhance your SEO. You don’t often need to create new content or contacts with website owners, as you are targeting non-operational but existing links that fit your existing content. There’s no negotiating of content swaps. Even if you need to create original content to fit around a broken link, you’ll be creating it based on a real need. You’re not shooting in the dark, trying to figure out what third-party sites would like. You are taking existing links and fitting content around them. Sites can be much more open to your suggestion of replacement, as you aren’t simply trying to sell your own business. You are essentially helping them out first. Broken link building works on the principle of reciprocity. The helpful act of pointing out broken links can lead to a new relationship and improve your link building further. Therefore, it benefits both of you to replace broken links. The process can be a quick way of gaining links. All it can take is a simple e-mail or social media message to the site’s owner. If they find your link useful, then you could have gained a new link in a manner of minutes. However, you shouldn’t be overly optimistic about time-saving. Contacting site owners can take its time and not everyone is simply going to replace the broken link with what you are offering. But the below steps should help increase the effectiveness of your strategy and limit the negative results. Finally, in a world of competitive SEO-strategies, broken link building can be exceptionally good for your business. The strategy is still relatively new in terms of link building methods and businesses aren’t yet using it as a main tactic. This could yield better results for your organization. A proper broken link building tactic will require the use of tools. You need them mainly to cut down the time it takes to locate broken links and to contact the website owners. Check My Links Google Chrome extension – The extension for Chrome browser is a quick way to check for broken links. When you install the extension, it’ll show as a checkmark icon next to the address bar. By clicking it, it’ll scan through the links on the page. Broken links are highlighted in red showcasing the specific error behind the link. Domain Hunter plus – Domain Hunter plus is similar to the above extension. But the additional benefit is how it shows if the link domain is available and the number of links leading to it. This could be good, if you are looking to obtain new domains. Xenu’s Link Sleuth – The above tools are good for small and medium broken link building operations. If you want to scale your efforts, get this tool. It allows you to check the links on hundreds of pages at once. You should also get a tool that makes e-mailing the site owners easier. In fact, if you are using Gmail, you can enjoy their built-in feature for this purpose. The feature is called Canned Responses and you can find it under the “Settings” tab. This tool allows you to create a template for contacting site owners, cutting down the time you need to spend writing messages. Once you have the right tools, you can start looking for broken links. You’ll probably know specific domains, which you’d love to get a link from. For example, you might be a finance business hoping to get a link on Mint.com. You can either visit this website and check it with Check My Links or Domain Hunter or use Xenu to scout the site. Double check the link to make sure it’s non operational and check the link target quality (next step). Choosing sites within your business niche. You could also find broken links from unknown sites by searching for sites within your business niche. You can combine relevant keywords in your niche and look for sites with links on offer. Again, once you’ve found suitable sites with broken links you can establish link target quality and contact the link owners. Finally, you can look for broken links with your targeted keyword. Perhaps you have created content which you want to use for link building. Define the specific keywords for that content and use search engines to find quality sites around the keywords. Use a tool like Ahrefs to find inbound links to the top sites that came up with your search. This allows you to find websites that have linked to these quality articles within your niche. Check these sites for broken link and suggest your own link as a replacement. With all of the above methods, it’s auspicious to create a spreadsheet for your targeted broken links. Simple include the URL of the site with broken links and the URL and keyword of the broken link. This allows you to create a list of broken links, which you can use once you start contacting the owners (step five). While the Internet is certainly full of broken links, not all of these links are worth the time and effort. As with all SEO, broken link building is only beneficial if you target high quality links. What makes a site worth targeting? In most instances, a quick glance on the site can show whether you are dealing with a real, quality website or just a ‘spammy’ domain. Above all, you need to make a decision as a business whether you want your link to appear on the site or not. Therefore, don’t simply look at the page with the broken link, but get an overall feel of the website. For example, the site might feature a suitable broken link and be a relatively good quality website, but include certain inappropriate elements you don’t want to associate with your business. For example, an alternative medicine site or a politically oriented website might not fit your brand image. Remove the low link targets from your spreadsheet. You could even give them your own ranking and start contacting the higher value sites first. As quickly mentioned above, there are ways you can target broken links: either by replacing bad links with existing content or by creating new content around broken links. The first tactic of picking from your existing content is naturally easier. You don’t need to waste time creating content, but can simply find broken links that are directly related to your content. Ensure the content you are using as the replacement fits the link naturally. The better the match, the higher your chances are of receiving a link back. On the other hand, if you find broken links on quality websites, which could suit your business, you shouldn’t shy away from creating new content around it. If you have a business blog, you can write a short post that would be a good fit for the link or add more information to your site. For quality sites, this can be definitely worth the effort. When you’ve found the broken links, checked the quality of the website and chosen the content you want to replace the link with, it’s time to start contacting the site owners. You can great a template, with the Google tool mentioned earlier, or simply write a Word-document that you can copy/paste. Personalized message – Even though you are using a template, you should always tweak the individual e-mail to ensure you use personalized language. You don’t want the e-mail to feel like a template message. Always remember to include something about the specific site or business you are targeting to give the e-mail a personalized and thoughtful feel. Short message – Don’t blabber on, but go straight to point and keep it short. People don’t like reading e-mails that take an hour to go through. Professional language – Be professional, but friendly. Use language that is concise, clear and on the point. You want the e-mail to highlight the quality and value of your business. Polite language – Don’t sound threatening or rude in your e-mail. You don’t want to force or bully the site’s owner to use your link. Indeed, make them feel like you are trying to help them instead of aiming for personal profit. Overall, make sure you point out the exact link that’s broken and suggest a replacement. Mention the URLs in the e-mail, as you want the owner to be able to view the content you’d like to replace the non-operational link with. Furthermore, focus on the benefits to the site owner, not how it helps your business. For example, talk about the annoyance of broken links and the benefits of your content for the site’s readers. It can also be beneficial to point out all of the broken links on the page, instead of simply mentioning the link you are after. You could even include other link replacements on their place. Create an overall template with the above points in mind. But remember to always customize the message before sending it out! Once you got the template ready, you need to find the right contact information for each site you are targeting. Most quality sites would have contact information readily available. You can also engage the owner on social media, if there’s no contact template or e-mail address on the site. In fact, websites like LinkedIn can be a better way to get in touch. This is because e-mails are quickly filled with messages, but LinkedIn messages stand out. The work isn’t over once you’ve hit the send button. Just like any other SEO strategy, broken link building’s effectiveness should be measured and analysed. This can help you better understand whether it is worth the time and effort for your business. You don’t waste time contacting the same sites (repeated e-mails to the same site are unlikely going to improve the end result and you might end up hurting your reputation, as you’ll be seen as a spammer). You are able to calculate the return on investment (ROI). Improve the success rate by fine-tuning your contact template and broken link building methods. If you are testing out different template models, include the template you used in this particular case. Did they say ‘no’ or ‘yes’? Monitor whether the link changed by checking the site manually or through a link database. Notice that owners might sometimes change the links as requested even if they don’t reply to your e-mail. On the other hand, you might get ‘a yes’, but the link doesn’t ever change. If this happens, you can contact the owner after a while and remind them about the link. This provides you the result in links per dollar spent. If you want cost per link, you simply need to invert the formula. The aim is that the better you become at broken link building, the better your ROI will get. Broken link building is a powerful SEO strategy. It’s easily scalable and can suit businesses operating in a number of niche industries. Nonetheless, it does take quite a bit of time to master and you definitely need to practice it in order to enjoy its benefits to the full. The above steps can help you use the right broken link building tools and tactics, which have been proven to work. You just need to clearly focus on what type of links you are after and test a few contact strategies to find that works for your business.